NASA and Etsy invite you to celebrate artistic exploration and commemorate the end of the NASA Shuttle Program with a creative challenge: Share an original handmade item or work of art inspired by the NASA Shuttle Program and space exploration at large. You could win a trip to an upcoming launch as NASA's VIP guest, Etsy shopping sprees, and cool merchandise from NASA and Etsy. Your artwork might even be flown on the Shuttle! CREATE an original, handmade artistic item inspired by the NASA Shuttle Program and space exploration. LIST the item you create in your Etsy shop during the contest entry period, October 12 - November 2, 2010. Entrants must be registered Etsy members with an Etsy shop. See the Contest Frequently Asked Questions. If you've ever been inspired by astronauts, black holes and zero gravity, you're in luck! Etsy is partnering with NASA to host an exciting contest. After 50 momentous years and over 130 missions to the cosmos, NASA's Space Shuttle Program will draw to a close in 2011 as it reaches its long-term goal of completing the International Space Station (ISS). To honor the program and celebrate its many accomplishments, we're calling for designs inspired by NASA, its programs and the wonders of space exploration. 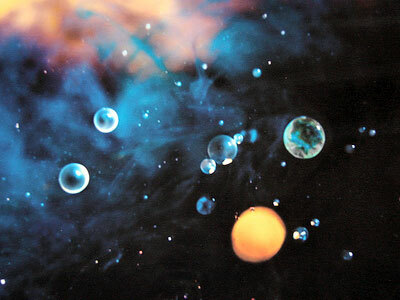 Invigorate your inner maker with all that is known (and unknown) about our universe. Grand Prize Winner (1): The Grand Prize winner will receive a $500 Etsy shopping spree and an all-expenses-paid trip with a guest to attend the shuttle launch at Kennedy Space Center in Cocoa, Florida in February as NASA's VIP guests. Includes a VIP tour. Best in Category Winners (3*): Best in Category winners will receive $250 and swag from Etsy and NASA. * Please note: the Grand Prize winner will be taken out of the running for Best in Category. 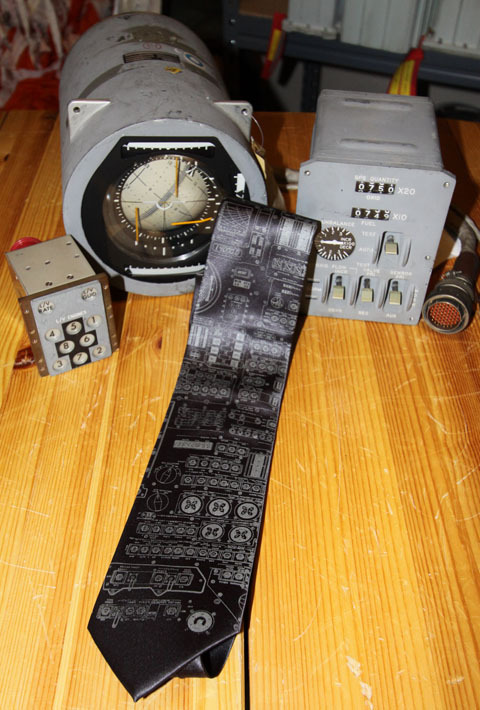 Winning designs (or photographs of designs) may even be flown up into space on the shuttle! To get your intergalactic energy flowing, visit the expansive NASA Image archives for inspiration. The photos and renderings are available to use as part of your designs, but are certainly not required. The deadline to enter is November 2, 2010. For information on how to enter, judging criteria, official Rules and Regulations, etc., go to the NASA Space Craft Contest site. We apologize in advance that the contest is limited to United States residents only, 18 years and older. Want to follow the contest? Stay tuned here on the Blog, where we'll update you as it progresses through various rounds of judging (including your chance to vote!) and on to the final shuttle launch. NASA's goal is to help inform Etsy's 5.5 million members, 96 percent of whom are women, most under age 35, about the agency's present and future exploration plans. Space Craft runs through Nov. 2. Entries will be judged online by viewers of the Etsy website. A panel of crafters and designers identified by Etsy and NASA will narrow the selection and select the winners. The winning entries will be selected Feb. 1, 2011. ...I'm going to go broke. At least I'll be rockin' some cool space geek threads. Neat... just purchased one myself. 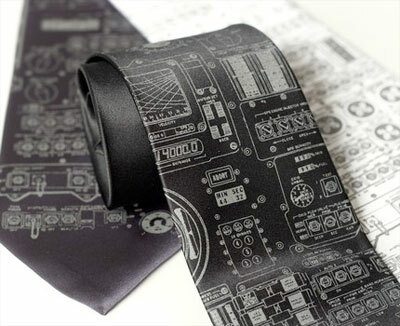 Now I have an excuse to wear a tie. If I wore ties, that would be mine! No job interviews (hopefully!) in the future, so I don't need ties. Received today... the design may be slightly not to scale but otherwise a very cool accessory. Three, two, one... blast off! Vote Now! Choose your favorite Space Craft semi-finalist from each contest category. All Etsy members are welcome to participate in voting. NASA and Etsy invited Etsy members to celebrate artistic exploration and commemorate the end of the NASA Space Shuttle Program with a creative challenge: Share an original handmade item or work of art inspired by the NASA Space Shuttle Program and space exploration at large. Prizes include a trip to an upcoming launch as NASA's VIP guest, Etsy shopping sprees, and cool merchandise from NASA and Etsy. The winning artwork might even be flown on the Space Shuttle! 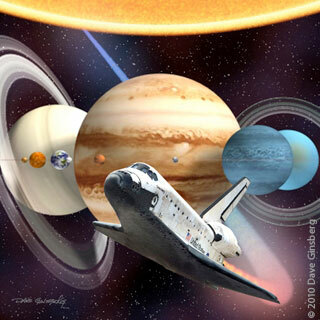 My digital space art, "Voyages of Discovery", has been chosen as a semi-finalist in the Space Craft contest. © Dave Ginsberg. All rights reserved. "Voyages of Discovery" commemorates the historic flights of the Space Shuttle Program as well as NASA’s pioneering mission of space exploration, scientific discovery, and aeronautics research. You can find "Voyages of Discovery" in the 2D Art Reproduction category. Cast your vote at Etsy's contest website. In addition Dave's fine entry above, a couple of other pieces created by friends of collectSPACE are also among the chosen 150 for the vote. 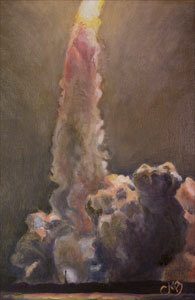 The Last Night Launch, an original oil painting, was created by Catherine Baker, a member of the Space Tweep Society, which is an organization that collectSPACE proudly supports. 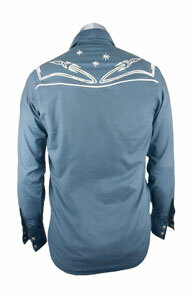 Even closer to this site, Melissa Meek created this Galaxies and Rockets western shirt for her husband Jon, aka 'Mr Meek' on collectSPACE. I would also be remiss if I didn't make mention of two other entries, which sadly did not make it into the voting round. Space Tweep Society founder, Project Mercury Rising creator and new member of the collectSPACE launch coverage team, Jennifer Sheer created a Needle-felted Hubble Space Telescope, complete with spacewalking astronauts. 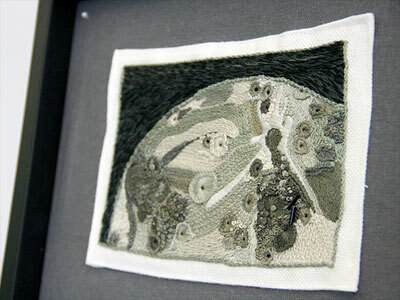 MAKE Magazine contributing writer and collectSPACE member Rachel Hobson captured the lunar surface in thread within her high-texture hand embroidery of the Moon. Congratulations to fellow cS friends, Catherine and Melissa. I wish you both the best of luck. Our collective entries cover all three of the categories. Let’s hope for a friends of collectSPACE sweep! Thanks Robert, for the mention, and good luck to Catherine and Melissa! Thanks for the mention and well wishes, Melissa and I were both pleasantly surprised to see the shirt made the cut! There are a lot of great pieces in all 3 categories, so we're happy that it's made it this far. Melissa has been selling her wares through Etsy and www.onelittlem.com for about a year now, and it's been a fun little business for us. So it's really cool to see one of her items get recognized in an unusual way. Thanks for supporting what she loves to do! This just in... both Jennifer Scheer's and Rachel Hobson's entries (mentioned above) are now eligible for voting! 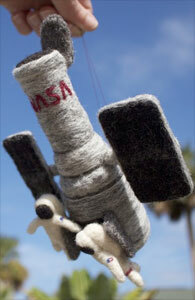 Last week, we received reports that we had overlooked some eligible entries for the Etsy & NASA Space Craft Contest. We've spent the last few days carefully reviewing exactly how the entry data was collected to determine contest eligibility, and we have confirmed that some eligible entries were accidentally excluded due to a technical error. We appreciate everyone who got in touch about this concern, and we sincerely apologize for any confusion or distress that our technical error may have caused. It is very important to us that every entry is fairly considered for the contest. In order to extend the contest to all entrants, we are holding a second public voting period for an additional group of semifinalists. Everyone involved in the contest at both Etsy and NASA appreciate the time, energy, and creative talent all of the contest entrants have demonstrated. Thank you in advance for your patience as we do our best to make sure every eligible entry is fairly considered. Congratulations are in order to cS members and friends Dave Ginsberg, Rachel Hobson, Jennifer Scheer and Catherine Baker for having being voted into the finals! Thanks to all who entered and all who voted to select the Space Craft Contest finalists. With a giant leap of artistic expression, you accepted NASA and Etsy's challenge to create handmade art and crafts inspired by the NASA Space Shuttle Program and space exploration at large -- and the results are out of this world. Congratulations to the category finalists, previewed here. Finalists will be contacted in the next few days with instructions on the next steps. Stay tuned on the Blog to learn about the final judging event and guest judges. As a reminder, prizes will include a trip to an upcoming launch as NASA's VIP guest, Etsy shopping sprees, and cool merchandise from NASA and Etsy. The winning artwork might even be flown on the Space Shuttle! During a Friday ceremony in Brooklyn, New York, NASA and Etsy, an online marketplace for handmade arts and crafts, announced the winners of "Space Craft," a contest that received more than 600 entries. Contestants entered an original handmade item or work of art inspired by NASA programs, such as the space shuttle, human spaceflight, aeronautics, science and exploration of the universe. Colleen and Eric Whiteley from Brooklyn received the Grand Prize for Best of Show for their detailed design of the Northstar Table. 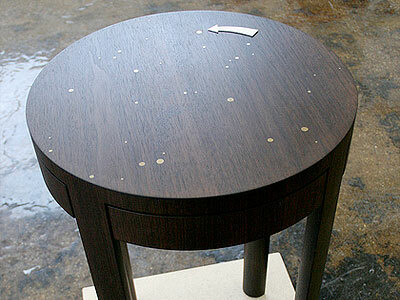 The table features a North Star design that, when pressed, opens a hidden drawer. 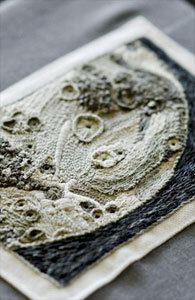 Rachel Barry Hobson from Austin, Texas won the 2D Original category for her piece titled, "High Texture Hand Embroidery of the Moon." For the category of Two Dimensional Reproduction, "Universal Thoughts" by Nikkita Karsan Bhakta from Mobile, Ala., won the top prize. Patrick Burt from Tempe, Ariz., won the Three Dimensional Original category with a Titanium ring titled "Brother Sun, Sister Moon." 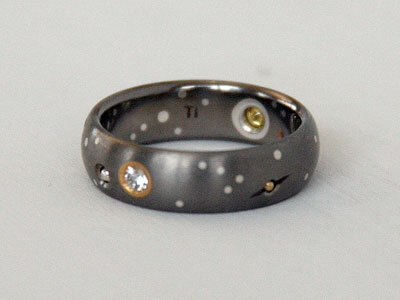 The silver, gold and diamond embedded ring represents stars, the sun, moon, Mercury, Mars, Venus, Jupiter and Saturn. NASA's goal for the contest was to help inform Etsy's 5.8 million members, the majority of whom are women, most near age 35, about the agency's present and future exploration plans. NASA astronaut Steve Robinson attended the judging on March 18 at the Etsy Labs community space in Brooklyn. Contestants entered work in three categories: two-dimensional original art; reproductions of original pieces and three-dimensional art. The two-dimensional pieces included paintings, drawings, rings, mixed media, photographs and computer-generated prints. The three dimensional entries ranged from wearable art to furniture and soft sculpture. The grand prize team received a $500 shopping spree on Etsy and an all-expense-paid trip with a guest to attend the next shuttle launch at NASA's Kennedy Space Center in Florida. Shuttle Endeavour and its crew are targeted to lift off on April 19. The winning two dimensional art piece may be flown aboard the flight. The winner of each category received a $250 shopping spree on Etsy and a gift package of NASA and Etsy merchandise. Beautiful stuff. I love that ring and that table - gorgeous artwork.